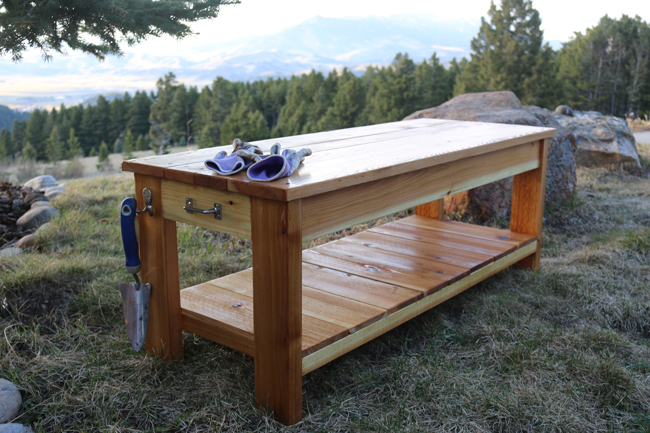 The DIY garden bench I built in collaboration with BuildSomething.com is constructed with 2×4 boards, 1×6 fence pickets, and 1×6 boards. BuildSomething is an online community I am a part of, with hundred of FREE plans and all sorts of DIY inspiration. I'd highly recommend checking it out. I love the look of cedar, as well as the natural coloring and it's resistance to the outdoor elements. 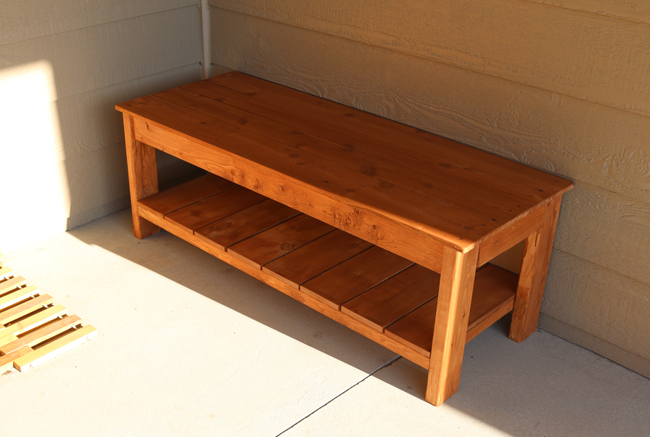 However, you could save some money by building the bench out of pine as long as you use a good sealer or paint. You could also bring down the cost by using fence pickets for the set of the bench instead of 1×6 boards. Fence pickets are typically a little thinner, but I built a second bench using pickets for the top and it was plenty strong. 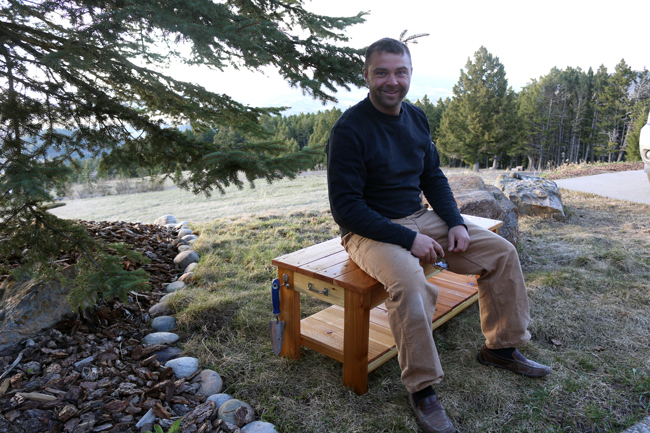 Below is a photo of a garden bench I finished with a deck stain and the pickets on top. I used a Kreg Jig to create the pocket holes which join all of the 2×4's. The cedar pickets and 1×6 top boards are attached using screws and wood glue. 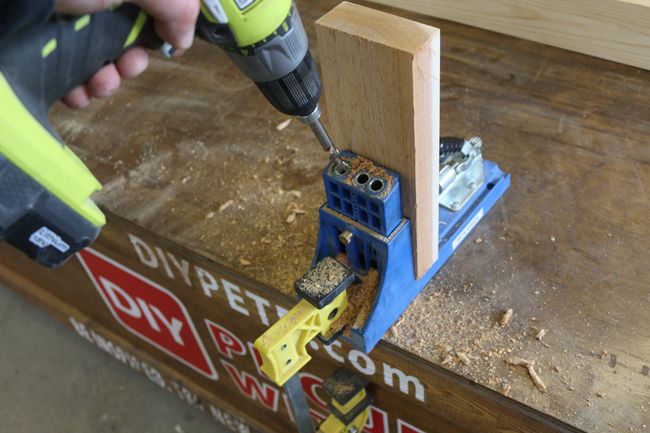 The Kreg Jig is one of my favorite tools to have around the shop because it allows me to create joints super easily and with instant gratification. The holes are hidden on the inside, so you won't see any of the pocket holes. The project took an afternoon to complete. I did a couple coats of clear oil based spar varnish to create a nice durable finish. For the complete plans, cut list, and materials used head over to BuildSomething.com.